You won't believe what you can get for just a dollar at Food City's Dollar Zone! Quality tools, hardware, cell phone accessories, gifts, toys, health and beauty care items . . . the list goes on and on! You'll find specially marked sections throughout the store. Look for the bright blue and yellow signs! Food City's Food Club brand products provide customers with a full range of top quality, guaranteed-to-please grocery items that are priced well below their national brand counterparts. Food Club products are carefully designed and formulated to be as good or better than the big name brands. They're made with the same high quality ingredients, many times in the very same production facilities! You'll find Food Club brand throughout the Food City store, in grocery, dairy, frozen, meat and more! All items subject to availability. Today's consumers are becoming more and more conscious of what goes in, and on, the food they eat and serve their families. 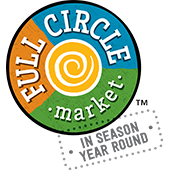 Full Circle natural and/or organic products give you peace of mind in knowing that they are produced and packaged according to the strict guidelines set forth by the USDA for natural and organic products. From fresh fruit and vegetables, cereals, pastas, canned goods or frozen foods, Full Circle brands deliver guaranteed quality, delicious flavor and outstanding value. All items subject to availability. The Paws product portfolio features high quality pet foods, treats, toys and accessories for the special 'pal' in your family. The Paws Premium brand includes 100% complete and balanced nutrition for your cat or dog, as well as the most popular treats, toys and accessories. Your pet will love you even more when you bring home Paws brand. All items subject to availability. There's nothing more important to you and your family than good health. That's why Food City's own pharmacists recommend Top Care brand health and beauty care products. They are formulated to meet or exceed the quality and safety standards of the national brands, but at a much lower cost to you than those big names. Our laboratories thoroughly test and monitor the quality of every product for consistency and effectiveness. Plus, they carry Food City's 100% Satisfaction Guarantee. All items subject to availability. Valu Time products, hundreds of great quality, everyday items priced up to 60% less than their national brand counterparts, so you can save money every time you shop. All items subject to availability. From our table to yours, our commitment to quality means that you can be 100% confident that you and your family are enjoying only the highest quality fresh fruits and vegetables that mother nature has to offer. There’s nothing more wholesome and delicious that just-picked fruits and vegetables. Food City brings them in from around the globe at the peak of freshness and quality so you can know you are getting the very best. Additionally, when the season is right, we work with local farmers to bring you local items that, quite simply, can’t get any fresher. Straight from the fields to our stores to your table - That’s Food City fresh! We believe that confidence is the secret ingredient to real beauty. That's why our b-leve line includes affordable, high quality products you can be confident in. Made with natural ingredients and backed by advanced science, b-leve skin care products offer high-end results at a price that makes you smile. Our Tippy Toes line of baby care products is designed to provide everything you need to soothe, comfort and nurture your baby, beginning at day one. In the heart of the Blue Ridge Mountains of North Carolina, protected by dense national forest, the Misty Mountain Spring produces some of the most naturally refined water in the world. After weeks of progressive granite filtration, Misty Mountain Spring Water emerges from the Earth naturally pure. Over the Top offers an extensive variety of professional quality decorating and baking supplies designed to help you create applause-worthy desserts. Wherever your imagination decides to take you, as long as you've got Over the Top, anything goes! The New Go-To for Everything They Do. 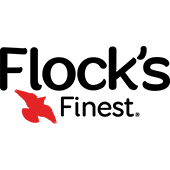 Simply Done is a comprehensive line of home solutions that include cleaning supplies, plastic bags, wraps, general merchandise and more. With Simply Done you can be ready for life for less. Look for the check thought the store! Rooted in Greek tradition, Nostimo’s™ reverence for classic Greek yogurt is evident in each creamy spoonful. Whether you’re craving yummy yogurt flavors, tasty frozen yogurt bars, or a versatile cooking ingredient — Nostimo™ is the way to go. With authenticity and craftsmanship you can taste, we use the same Old World method to make our Greek yogurt today! So what are you waiting for? Allow Nostimo™ to treat you to a true Mediterranean indulgence. The animal kingdom comes in many sizes and shapes...just like us! WIDE AWAKE COFFEE CO. has a flavor to suit your own distinct personality. With vibrant characters, inspired by our planet's colorful wildlife, you're sure to find your coffee destiny. Open your eyes and let our rare breed of coffee awaken your senses. Get a jump on life and SEE for yourself! Flavors From Far to Table! Culinary Tours bring the world to your kitchen table with carefully selected food, inspired by flavors from across the globe or across the road. Every product we share is connected to a culture, cuisine, recipe or story. Join us and discover Culinary Tours! Our pets are a part of our family and that is why Evolve crafts food and treats to help you maintain your pet's health and happiness for many years to come. All of Evolve's products use real meat and are free from corn, wheat, and soy. 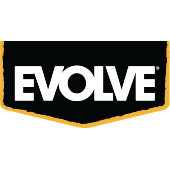 The Evolve line of products includes grain free and grain-inclusive dog food, as well as canned dog food, along with dog treats and cat food. Bistro Deli Classics offers a full line of best in class, premium deli meats and cheeses. This exclusive Food City brand was developed with “old world” style recipes, that have been arounf for over 100 years, that have been mastered to perfection providing the best quality and value we can to our customers.